What's a Meet & Greet? A Meet and Greet is what we call our initial visit to your home. It's where we meet you and your pets and learn a little bit about you both. It's scheduled after you've filled out the initial Sign Up application on our website, is free, and it typically takes about 20 minutes. What if I live just outside your service area? We have a very limited service area in order to provide the most efficient walking routes for our walkers. Unfortunately, at this time we are too busy to accommodate anyone outside of our designated area. Dog parks are so much fun (and so much easier than walking 10 miles a day), but ultimately they are unpredictable and can be dangerous. 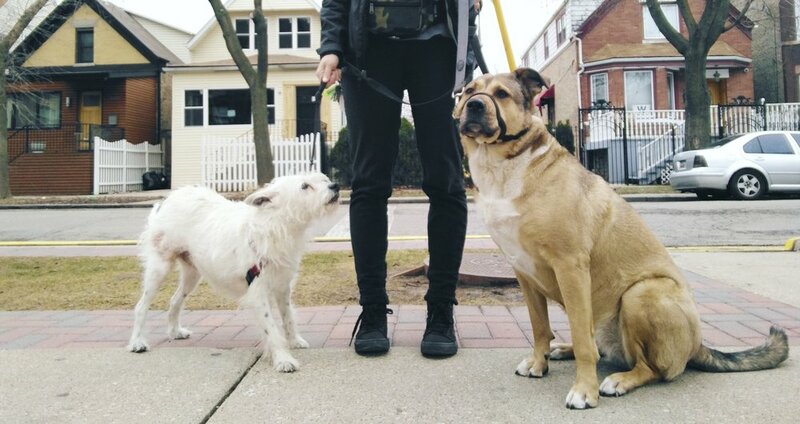 Everyone thinks their dog is the best, but some dog owners bring aggressive dogs to the park, and it's not worth the risk for us personally. Once you're in our system, you can cancel any walk yourself through our website up to 2 hours before a scheduled walk. If you forget to do it online and it's only an hour before the walk, you can just email us directly and we can still cancel the walk free of charge. However, if we show up and you've forgotten entirely that you had a walk scheduled for that day, we do charge the full amount. Plus, we're there! So you can just kick back and let us take your dog out for you anyway. Can you walk my dog Sunday night? As long as we have someone available, you can schedule a Sunday night walk. There is an additional charge for Sundays and an additional charge for after hours, but we can usually make it work! Will I have the same walker each day? Pretty much! You will be assigned a primary walker, but there will also be a backup walker in case of any illness or holidays. Can you feed my while turtle while I'm gone? Absolutely - Cat Care is really "any animal that's not a dog" care. If you're going out of town and you need someone to stop by once a day and feed your turtle, turn on the heat lamp, and sing it a song? We got you covered. How do you invoice for services? We currently have 2 billing options - monthly and vacation (you leave your cat for a week and pay us when you return). Can I tip my walker? Short answer: YES! Long answer: Still yes! But typically any gratuities are given at the end of the year. If your walker went above and beyond a certain day or week, please feel free to show your appreciation by leaving them cash, thank you cards, gift certificates, original works of art...whatever! Are you open on Christmas ? When I was a teenager I worked at Blockbuster Video (hi - I am old), the only place in my town open on Christmas Day. I still have no problem working on Christmas! However, we do have an additional charge for Public Holidays (New Years Eve, New Year's Day, Memorial Day, the 4th of July, Labor Day, Thanksgiving, Black Friday, Christmas Eve, and Christmas Day).